After yesterday's Superman Mondo poster debacle, here is an original work by José Luis García-López. 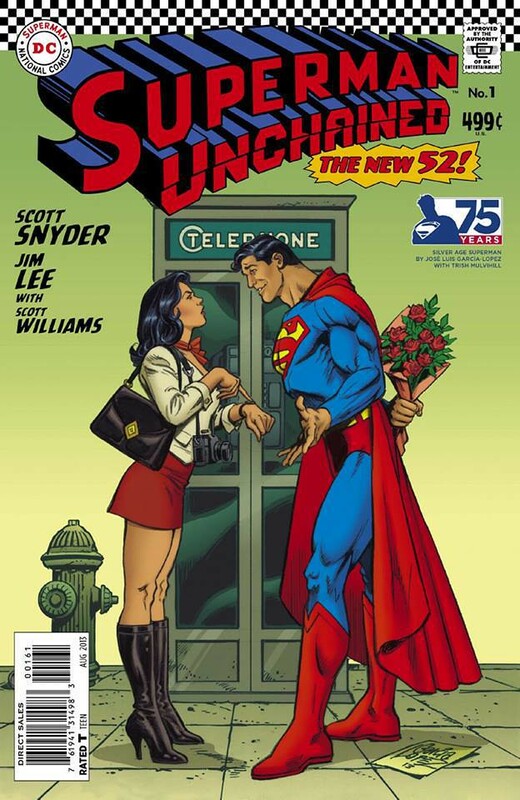 Superman Unchained variant cover, capturing the Silver Age spirit that title used to have. Love the phone booth, the mini-skirt and the boots. Nuff Said!